We all know that living in a fast-paced fashionable world can be exciting, but what's even better is when you include your local designers and be ever proud to wear them during this coming Raya Celebration. 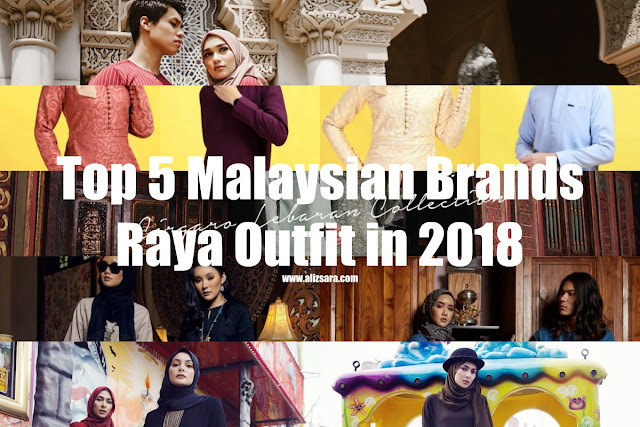 In today's post, I'll be focusing more on the Top Malaysian Designers for Raya to look out for, which you can consider getting your hands on to impress your friends and family during the Raya Celebration. Today marks the day as the first day of the fasting season, and what better way then to do a post on planning ahead for the festive season. Having a bae in my life, I think the keyword for today is where can we get matching outfits this Raya? Couple Raya sets are currently a fashion trend as it simplifies the whole process of making sure that you and your partner are wearing the right shade of a color that would in result create amazing photos to remember the Raya celebration in 2018. It does not limit to only partners, but also for those seeking for matching themes colors with your husband, wife, or even for the whole family! Listed below would be my Top 5 Malaysian Brands to compliment your Raya. Listed in my Top 5, goes to Jubah Souq! Jubah Souq features tons of designs that would be to keep yourself updated with the latest trend in 2018, for both male and female shoppers seeking for trendy styles to wear. Their price range is fairly reasonable for those who are looking for affordable Baju Kurung, Dresses, and Kurtas! Above would be a few pieces that I personally like. Just to give you a few ideas on the designs, I believe that the collection I selected gives you a better picture of the designs presented by Jubah Souq. Moving forward to the Top 4 in my list presents Sirnasin for a more exclusive collection of RTW designs. 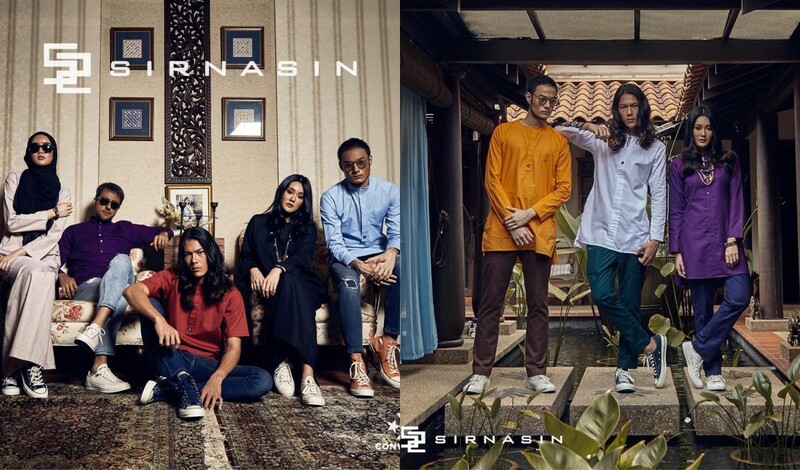 Hands down, Sirnasin has their way to create an impact to those who seek for younger bolder vibes. 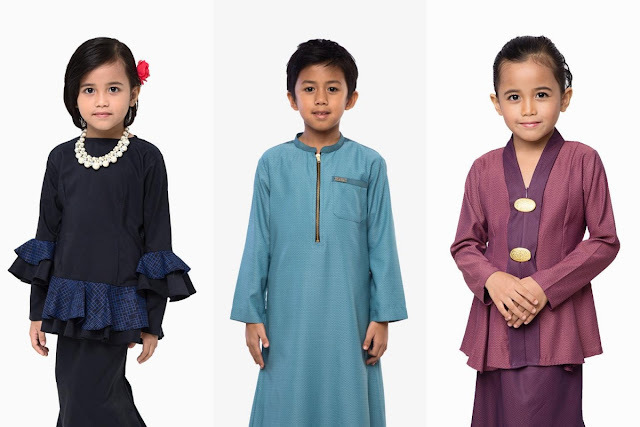 Some designs from their collection may be a little too strong for my liking, but if you think you got the attitude to make this Raya your runway, then you would definitely like Sirnasin's variety. A personal value I see in Sirnasin's collection is that their collection can be wearable for any occasion, making it a versatile choice. Number 3 falls to Zefiks because they have luxurious minimalist designs which are priced at a reasonable price. I love the classic details of Zefiks collection from the Zefiks Raya 2018. Just that, I kinda wished that they had more variety to work with. Most of their designs are pretty much the ones in the photos above, but it's still very chić and modest at the same time. The good thing about the collection tho would be that they offer a wide variety of colors! So trust me, I can guarantee that you'll find your chosen Raya color for 2018. Asikin Ahmad is pretty hot when it comes to the choice of the locals which falls to the top 2 on my list. 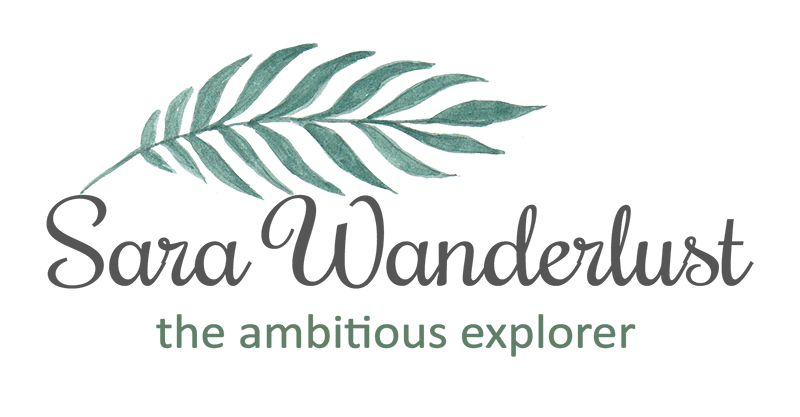 If you check out their website, you'd see most of their collections are already sold out! The styles that Asikin Ahmad creates is to always ensure that there is a partner outfit that matches one another, and from the looks of it, I kinda like what I see. It's not like a literal copy-paste matching outfit, but one another compliments the whole look. And this leads to my number 1 Malaysian Brands as your Raya Outfit in 2018, and established brand, Cirgaro! It may be a little unexpected, but hear me out on why they won number 1 based on my preference. The designs are fine and very high in quality, with precise workmanship to ensure that none is a defect. I owned a top I got from them last year, and surprisingly, it's still in tip-top condition. This year, Cirgaro features their Lebaran 2018 collection, and boy im in love with their designs this year, period. With 12 different unique collections, with 85 colors to choose from, how can anyone resist? Because they've won number 1 on my list, im going to elaborate a little bit on what makes Cirgaro unique. Their principles are based on a designed by consumers for consumers, and benchmarks are always kept to suit to the Malaysian context. I would have to say that their Kurta has been the leading design in Malaysia, so I can confidently say that if you see any other Kurta from other brands, they initially were inspired by Cirgaro. Believe it or not, they've produced over 13 different Kurta designs within the span of 3 years! They offer sizes starting from S to 4XL for male apparels, which can suit your liking to go for a slim fit, a regular until a super large size! I solute brands who invest in providing sizes for everyone to wear. #nodiscremination. Means, my dad would also be able to get matching Raya outfits with me too since he's a little more toward the 3XL size. Basically, by purchasing at Cirgaro, your colors can match any design doesn't matter if it's for him or for her. No more struggle to look for the same shade. I don't know about you, but I think Cirgaro is the first brand that I know of to introduce a kids line, which was an instant hit when they introduced it to the market. I like that they focus more on designs that are suitable for different generations both young and old, and doesn't concentrate on high quality to push to agents to sell making each and every piece exclusive for their consumers. It may be a little pricey, but trust me, it's worth every cent paid. If you don't believe me, it would be best if you can make your way to their boutique in Plaza Shah Alam which opens daily. This has to be another unique part I solute about Cirgaro as they are one of the local brands who managed to open and operate their boutique to cater to those who prefer to not shop online. And to me, this is what we Malaysians need to support, real entrepreneurship! Im actually waiting for their newest collection to be available and quickly grab what I want before it's sold out. A little bird told me that it will be available from 22nd May onwards, so get your decisions made and get them while you still can! To compliment your Raya Outfit this year, you may need some accessories and bling blings if you know what i mean. Hehe. Youre lucky cause i found a blogpost sharing about where you can find trendy accesorries this coming raya! Written by Yaya Natsumi, i think her tips in accessorizing might come in handy for some of you. Looks so stylish.. Great for add up raya outfit during this hari raya... lots of choices available too! I like your choices, they are all beautiful and stylish. Are the fabrics made for summer season as well? Zefiks dengan jubah souq tu emi dah biasa. Yang lain2 belum pernah try. Nampak cantik semuanya. Tapi persiapam baju raya emi semua dah settle, sampai 3 pasang tahun ni. Hehe. These collections look so refreshing with a traditional touch. Although I don't need Raya clothes, I want them! I don't mind wearing Malay attire. We are Malaysians, after all. Those baju raya so pretty! Will share this to my Malay friends. Nowadays Baju Malay is so fashionable and nice to wear! Even I also don't mind to try out those nice and pretty one.